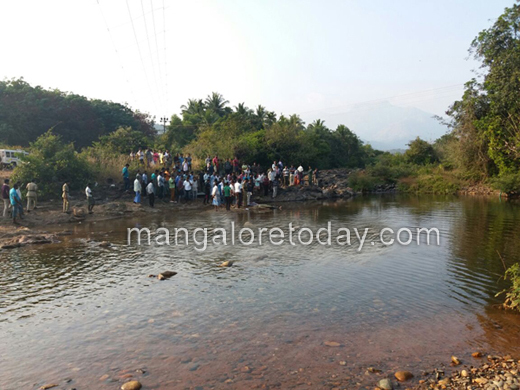 Belthangady, Jan 11, 2017 : Four members of family meet watery grave in a pond near Gadaikallu in Nada on January 11, Wednesday. Rahim (30), his wife Rubina (25), Yasmin (23) and Suban (15) are the deceased. But their Rubina’s Mainiuna was rescued and was rushed to Hospital. Sources say that the family had been to Belthangady on a trip to vist Kajuru argah. On their way to Dargh they decided to take a break going to a pond in Nada but the incident turned to be tragic.